Aduki beans (aka adzuki beans) are small red beans that are most typically used in Japanese cooking. They are often featured in sweet recipes such as red bean paste. 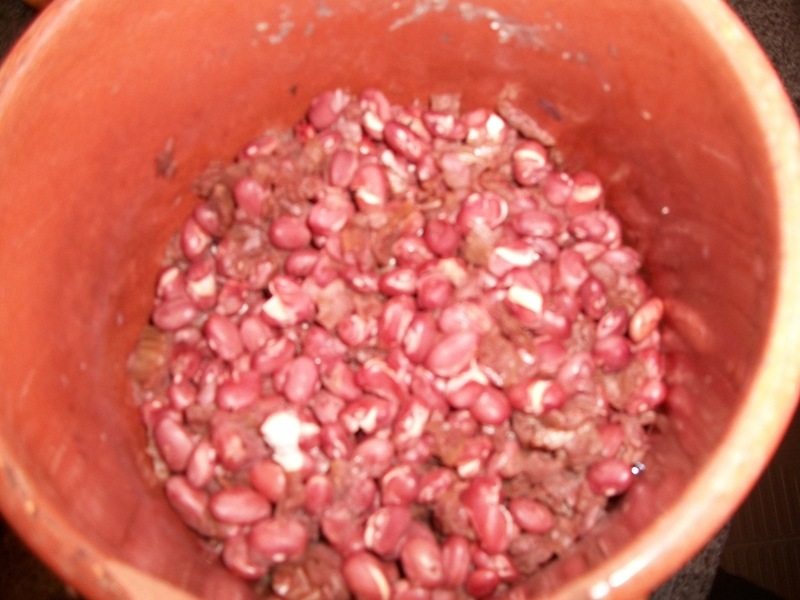 Aduki beans look like small kidneys, and are used to strengthen weak kidneys. Put kombu in bottom of clay cooking pot and add onion layer. Next, add a layer of carrots, then parsnips and squash on top. Then add drained beans and enough water to cover the them, bring to a boil,lower heat to simmer. I prefers to use the “shock method” for cooking these beans. I add ¼ cup or more of water at a time as the level of the water goes below the beans. This has the effect of stopping the boiling and when boiling resumes, (still using low heat) and water is lost, add cold water again to shock the beans. Cook this way for about 1 hour, then add soy sauce and stir the top ⅓ of the beans, without disturbing the vegetables. Cook another 15 minutes, or until the beans are soft. Mix well and serve.